The French Riviera has a reputation for glitter and glamour. While you may find starlets and high rollers sunning themselves in Cannes and St. Tropez, there are many unspoiled Côte d’Azur beaches left for us plebs. 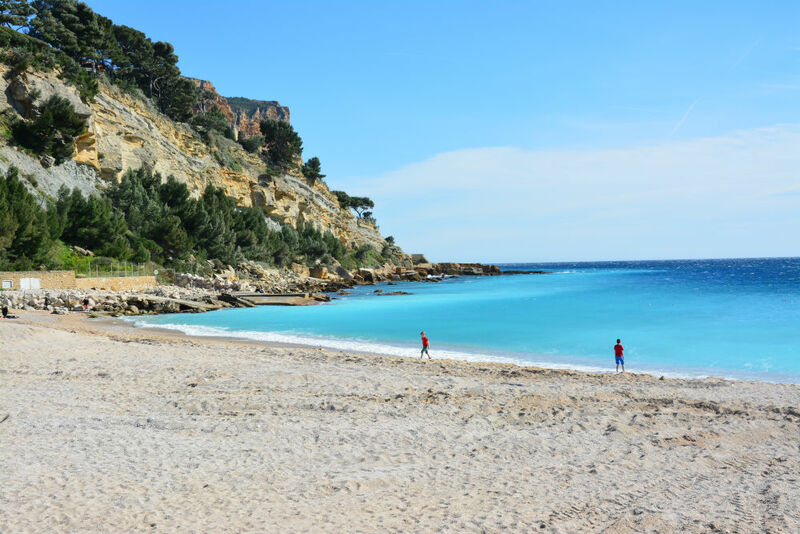 As the temperature rises in spring and summer, local families head to these gorgeous, relatively undiscovered French Riviera beaches for a peaceful picnic and swim. Here are the most beautiful family-friendly beaches on the French Riviera. Skip the lecherous crowds at St. Tropez’s infamous and overcrowded Pampelonne strip. 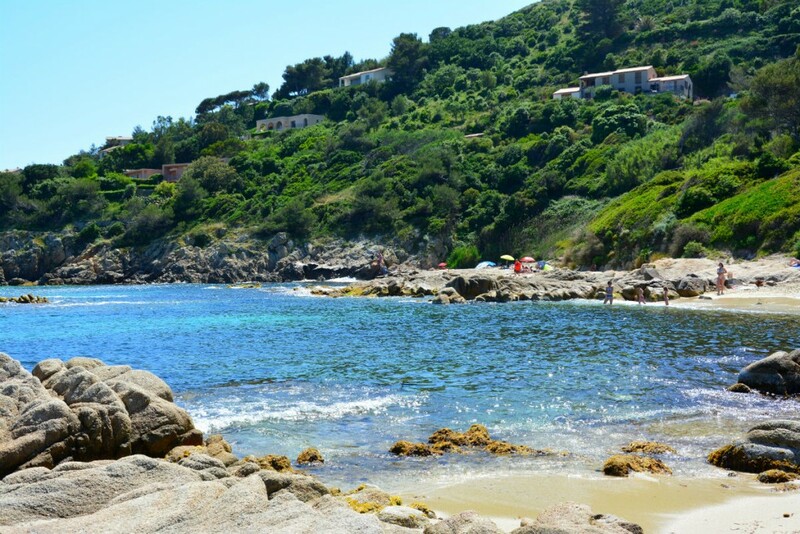 Instead head to nearby L’Escalet, a hidden gem, peacock-blue cove with a golden sand and pebble beach. Despite its off the beaten track location tucked between Cape Taillat and the Cape Camarat, the beach has a snack stand, toilets, and a lifeguard. The native species along this stretch of coast are protected and belongs to the Conservatoire National du Littoral. Small folk love the rock pools. For older kids, L’Escalet is ideal for snorkeling. 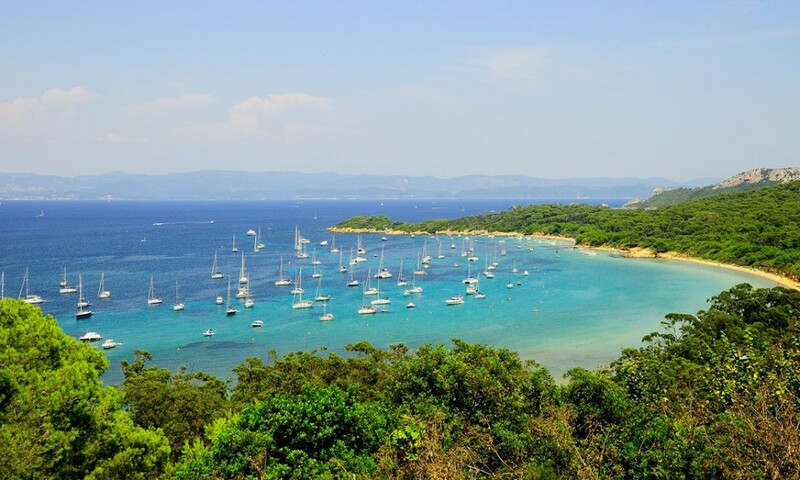 There’s a secret beach of great beauty on an island off the coast between Marseille and Cannes. The island? Ile de Porquerolles. The Beach? Plage de Notre-Dame. Why is it so special? The French government owns almost all of the island, so the national park space is protected from developers and car-free. 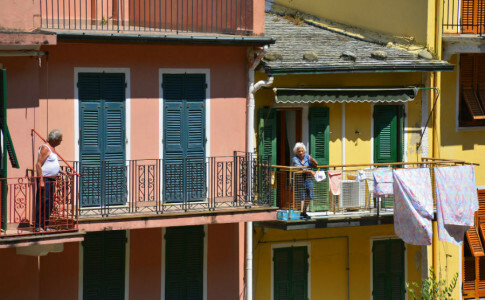 Although French families love this island, most English-speaking travelers haven’t made it here. All you need to do is catch a ferry from Hyères. In 20 minutes, you’re at the town centre where you can stock up on picnic supplies, then join the other families walking or cycling to the Plage de Notre-Dame. The island is a mere four by two miles, so it’s not a strenuous stroll. The dusty brown path takes you through oak and aleppo pine forest. Olive, fig, eucalyptus, and juniper and flourish here, as do herbs such as lavender, rosemary, rock rose, and myrtle. There’s even an on-island vineyard. You’ll see the white-sand crescent of the beach from on high and take the stairs down to the peaceful, turquoise waters. Although it’s tempting to stay forever, don’t forget to make a note of ferry return times. Long beloved by Edith Wharton, whom we consider the arbiter of good taste, Hyères is a vintage pastel gem of a quiet riviera town. Its unusual beach, Plage de L’Amanarre, is a gorgeous place to unpack a hamper and wile away the day. The beach is a nearly 5 km sand strip parallel to the route du sel (Salt Road), that runs along the western part of the peninsula, jutting out to sea. When the Mistral [western wind) blows, many windsurfers and kitesurfers gather here. While they’re entertaining to watch, you don’t need to worry about wind in the swimming area. 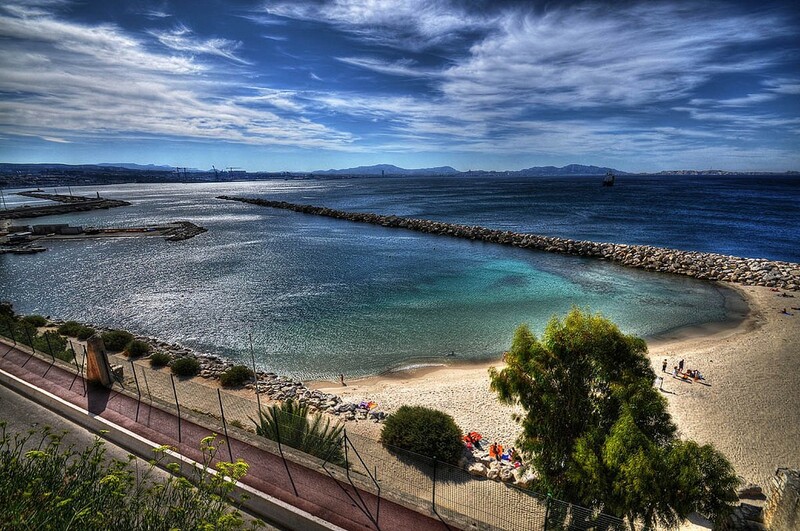 The Almanarre is protected and the shallow waters allow small folk to enjoy safe swimming. Right on the other side of the route du sel are the former salt marshes, now a bird reserve, where you can spot flamingos among many other bird species. Just 20 minutes from busy Marseille, Cassis is the sun-dappled, dreamy gem of a tiny beach town you come to France in hopes of finding. The main beach Plage de la Grande Mer dazzles with a turquoise swimming area posing languorously next to the harbor with old-fashioned double-ended fishing boats known as pointus, and polished pleasure boats. The almost-too-perfect marina is backed by the crooked peach and canary yellow buildings of the old port. Closer observation reveals a dramatic 14th-century château perched on the cliffs to the west above the main beach, old men tossing pétanques in the sun by the main public parking lot, and fisherman shucking sea urchins in front of a crowd of amazed tourists. There are plenty of dining options nearby, once you’ve had your fill of sand and sun. Cezanne, Braque, Renoir are just a few of the artists who loved this sandy stretch between Mount Saint Victoire and buzzing Marseille. 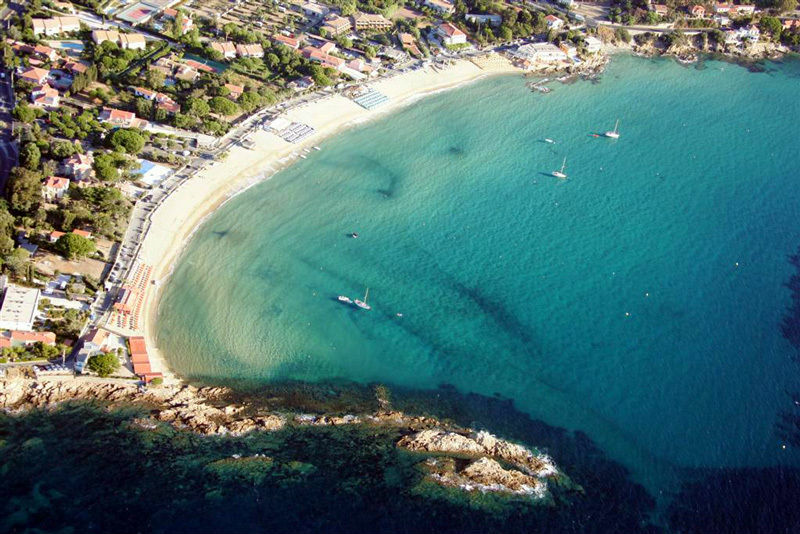 Accessible by boat-bus or metro from Marseille, the the beaches of the Corbiere area lie just north of Marseille’s fishing port L’Estaque. Plage de la Lave and the Plage de la Batterie, both sand, have a view of Marseille. The Plage du Fortin, is a lovely, curving a pebble beach looks west along the coastline out to sea. 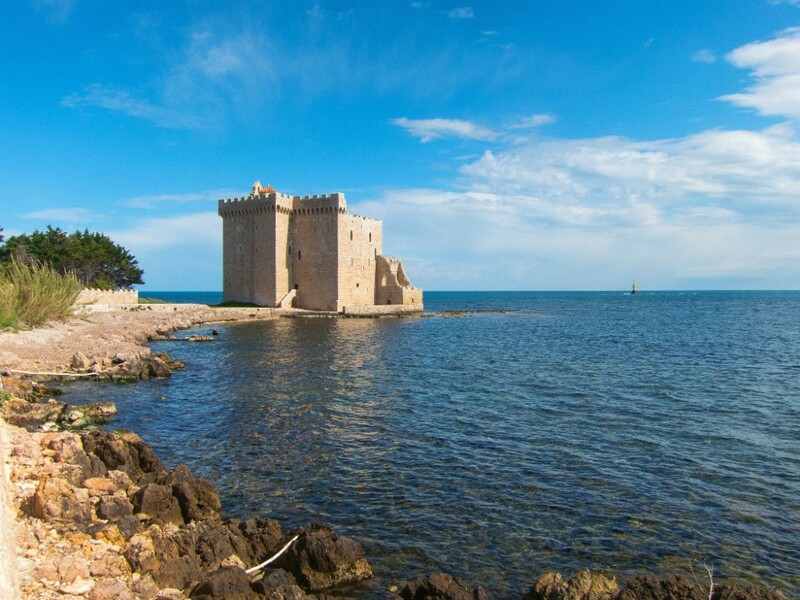 The Île Saint-Honorat is part of the Lérins Islands, about a mile off shore from the French Riviera town of Cannes. The island is named after Saint Honoratus, who established an abbey here in the year 410. It’s a tiny hideaway with coves here and there among the holm oak and aleppo pine forests. Soak up the beauty as you walk among olive trees, cacti, aloe plants, roses, and sweetly-scented clematis searching for your perfect picnic spot. The abbey is still open today. You may spot the monks working in their vineyards. They also offer tours and wine tasting. Near the abbey is the hidden Crique de St. Pierre, accessible from a small path at the Saint-Pierre chapel. Menton, known for growing lemons, is the last French town before Italy, and the cultural mash-up here alone is worth the trip. The pretty seafront citrus-capital also has some lovely, quiet sand beaches. 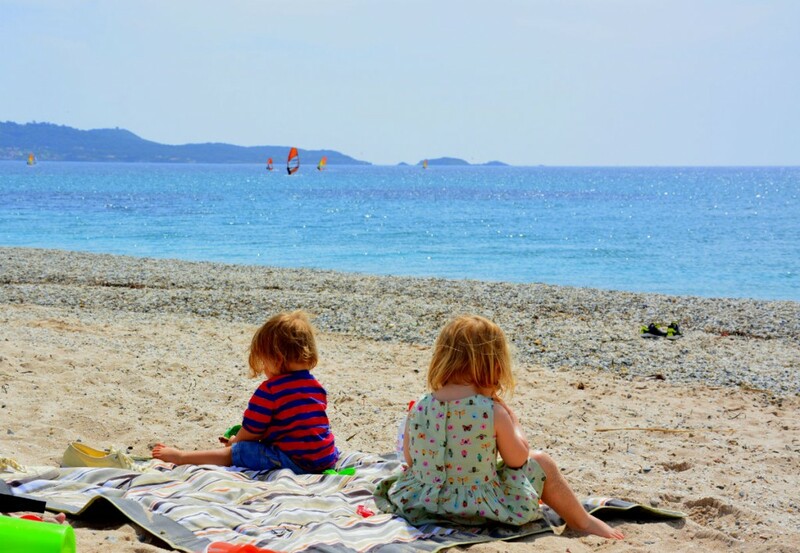 The most family-friendly beach here is Plage Sablettes. Just east of port, Sablettes beach is sheltered with shallow waters ideal for small folk. 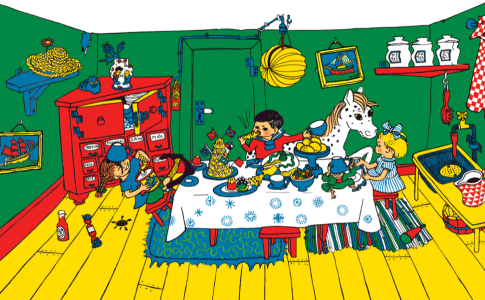 There’s also a trampoline. 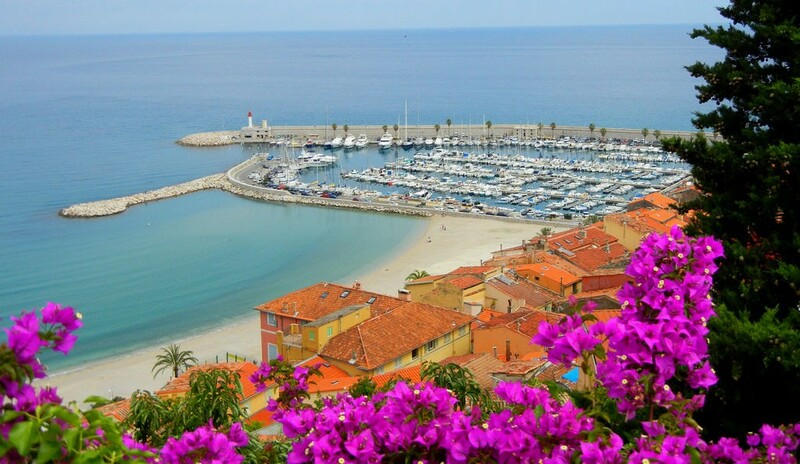 Parents will enjoy the beautiful views of Menton’s old town and the mountains.If you get hungry, head east where there are snack shacks and restaurants on the coastal road. About 1.5 km away from the centre of the city Le Lavandou and the busy palm-lined Grand Plage lies pristine Saint-Clair Beach. 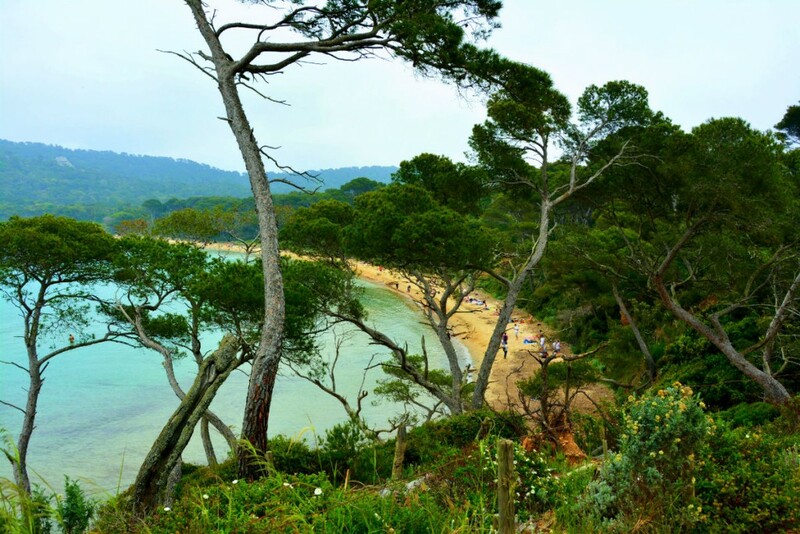 You can get here on foot via a 1.5 kilometre scenic coastal path: le sentier du littoral. This is a large, white sand, sun-drenched beach with clear waters, umbrella rentals, lots of restaurants, and lots of families.